Who will administer the laser treatment? It’s imperative to make sure that whoever is performing your laser hair removal treatment has the proper qualifications. A cosmetic dermatologist, like board-certified CT dermatologist Dr. Robert Langdon, or a nurse practitioner and/or licensed aesthetician, can all perform this function safely and effectively. How many times has this professional performed this procedure? “The answer should be in the hundreds,” reports Allure. Here at The Langdon Center for Laser & Cosmetic Surgery in Guilford, our experienced staff fits the bill. What type of doctor is performing or overseeing the procedure? Typically, a cosmetic dermatologist or cosmetic surgeon is the best bet for ensuring laser hair removal safety. Luckily for our New Haven County patients, Dr. Langdon is board-certified as both. How many lasers are on the premises? “The more lasers a medical practice or spa has access to, the higher the likelihood that you’ll be treated with the very best one for you,” Allure also stated. 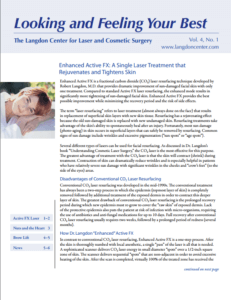 The Langdon Center is proud to be Connecticut’s premier laser center, as Dr. Langdon wrote the book on cosmetic laser treatments (literally!) 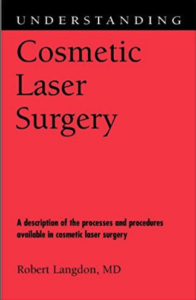 when he published Understanding Cosmetic Laser Surgery. We have a wide variety of lasers, specifically the Vectus® laser, which has been hailed as the most advanced and safest laser for laser hair removal to date. In addition to having the lowest risk of side effects, it can also deliver superior results to other technologies in half the time and much more comfortably. Schedule your laser hair removal consultation today!